Did you know that many Local TV broadcasters transmit their HDTV signals UHF and VHF frequencies for free? This fact means instead of paying your for your cable TV you can simply buy an HDTV antenna to receive your favorite networks for free. Just imagine never having to pay a monthly satellite or cable fee to enjoy your favorite TV shows or the local news. 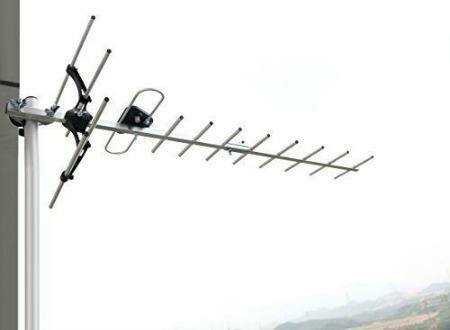 Moreover, technological advancements have led to the creation of many types of different HDTV antennas that you can use indoors and outdoors. With the new 1byone 80 Miles Digital Amplified Outdoor Antenna you do not just get high-quality HD digital reception, you also get a high-quality product that is built to sustain all kinds of weather conditions, while being out of your sight the entire time. Great Sound And Picture Quality - Numerous broadcast networks transmit their signals in an HD quality that far surpasses what satellite and cable TV has to offer its customers. You get a maximum range of 80 Miles, with this great product. When you buy the1byone 80 Miles Digital Amplified Outdoor Antenna, you never have to pay for hefty cable bills. You get to watch all your local and HDTV programs in a crystal clear quality with crisp audio. The antenna is great at pulling in all your local favorites including sitcoms, news, and kids programming. Use the coaxial cable to connect the antenna to your TV and scan to receive all your favorite channels in no time. 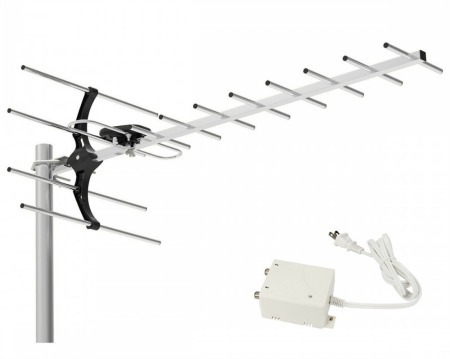 The 1byone outdoor tv antenna gives you unlimited access to your local UHF and VHF channels. 1byone is a renowned name in the industry that specializes in smart home electronics with a high emphasis on quality and affordability. All products under go hard quality measures and premium testing to ensure that no product reaches a consumer with any glitches. 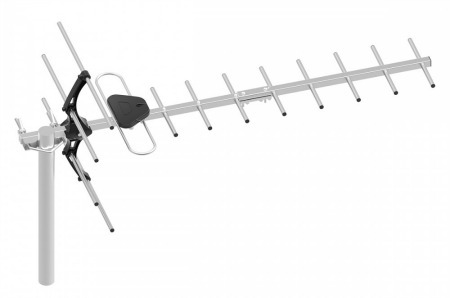 The manufacturers offer a reliable one year warranty that makes this antenna a safe purchase. Although over-the-air reception relies on several environmental factors, a month's money back guarantee allows you to test its functionality in your area. With over 5 million satisfied customers and counting, you can trust in the brand's name for delivering high-quality products. 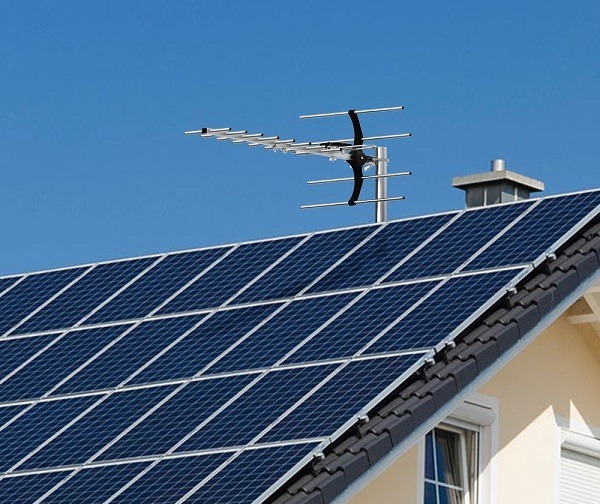 Before you buy a great outdoor HDTV antenna, it is important to get an idea about what channels broadcast in your local area, which is not a difficult job as you can easily find all local news and entertainment channels that you can receive from an HDTV antenna with the help of a few online tools. Simply type in relevant details such as your address, and you get to know about all important channels that you can enjoy for free with the purchase of this antenna. You should know that the number of channels your HDTV antenna receive also depends on your location and distance from the broadcast tower. Moreover, the kind of antenna you buy and the height on which it is mounted all affect your reception qualities. If you happen to live in metro areas you are more likely to pick up a large number of channels than people who live in rural areas. Sometimes, being too close to a broadcast network also causes the reception to be noisy and distorted. 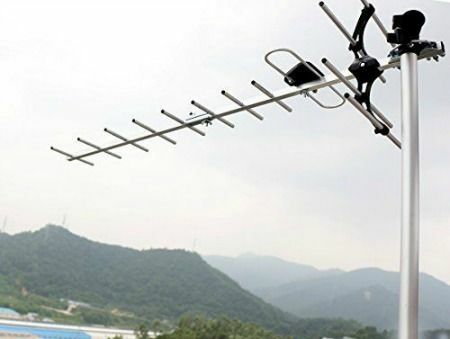 The 1byone outdoor antenna is particularly like for its trouble-free installation and high-quality display that offers uninterrupted entertainment system. The 1byone 80 Miles Digital Amplified Outdoor offers 1080 digital reception. This feature means that you can enjoy all channels with an unbeatable reception. The antenna is a must-have accessory to reduce your utility bills, as it pulls VHF and UHS signals. Buyers who have invested in this product find it extremely convenient to set up. Easy installation makes it a current favorite among HDTV enthusiasts who are looking for affordable ways to get free of their cable fills forever. The 1byone outdoor antenna is an ideal way of resolving all your placement problems as it can easily be placed anywhere on your roof. Buyers are happy to benefit from clear instructions that come with an installation manual to make life easier. It is capable of intercepting 1080p, 3D channels as well as Ultra HD 4K. Buyers appreciate the antenna as it also receives Dolby Digital 5.1 Surround Sound. 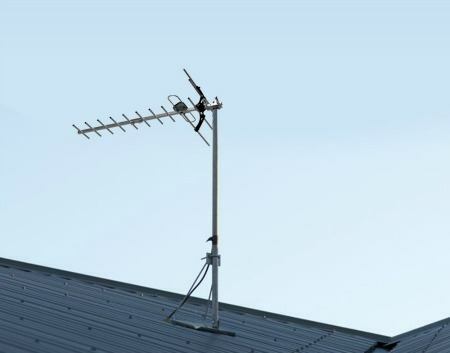 The 1byone HD antenna is capable of receiving all UHF and VHF signals, but if you are living far from a broadcast tower, you may need to adjust it by turning it towards the tower once you mount it on your roof. This 1byone antenna is capable of receiving all signals with an impressive range of 80 miles. It has garnered positive reviews from almost all users. Interested buyers should avoid buying it from lesser known online retailers who may deliver you with fake products. It is available on Amazon for around $30 and free shipping. The 1byone HD antenna is a high-performance antenna that makes TV free for life since you will not need to get cable subscriptions after the purchase of this product. Buy this product today to catch all your favorite local HD channels to stay informed and get entertained for the rest of your life. The product offers great value for your money. You will not have to worry about reception quality or harsh weather since the company uses durable materials to manufacture it for long-term use. Everyone who has bought this product seems to extremely happy with his purchase. Whether it is rainy or windy outside, you get a clear display with crisp audio for unbeatable performance. It is highly recommended to suit all your needs.